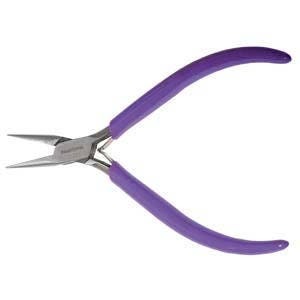 Characteristics: These pliers have a polished steel head and double-leaf spring for smooth operation. They are a box joint construction with PVC handles. Item shipped promptly, as described. Nice grip. I needed pliers with a tiny nose and these fit well. Good pliers! I use them for more delicate work like jump rings and fine wire.